The European and International Federations of Journalists (IFJ/EFJ) President Mogens Blicher Bjerregaard said that more and more journalists are facing intimidations, arrests or imprisonments in Turkey and this purge must stop immediately. 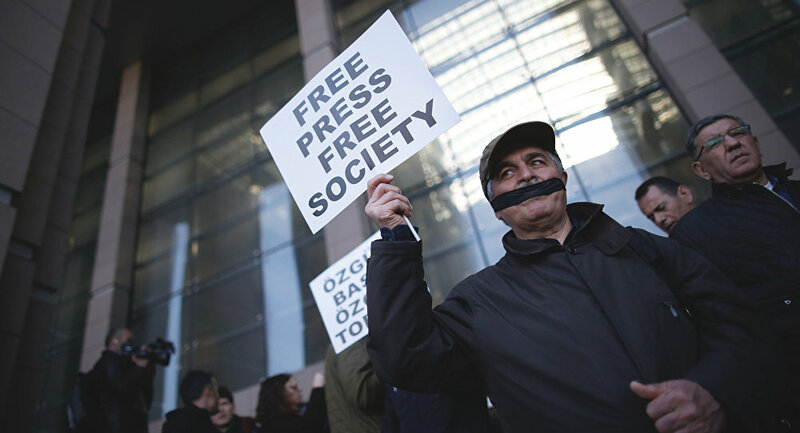 MOSCOW (Sputnik) — The European and International Federations of Journalists (IFJ/EFJ) slammed the Turkish government on Wednesday for attacking press freedom, a key democratic value, after the failed coup in the country. The Turkish government has been leading a crackdown on the media, military, judiciary, and civilian authorities after the failed July 15 military putsch. Thousands have been arrested or sacked on claims of having links to terrorism. "More and more journalists are facing intimidations, arrests or imprisonments and this purge must stop immediately," EFJ President Mogens Blicher Bjerregaard said in a statement issued by both groups. Turkish President Recep Tayyip Erdogan has declared a three-month state of emergency which allows the government to hold people without charges. IFJ and EFJ said 15 Turkey-based journalists had been detained, with over a hundred more expected to receive arrest warrants shortly.